Sarah and Patrick Walker have purchased a Victorian house located in a beachside community in Wales. They have extended themselves financially to obtain this dream for their family. Despite the fact that to most of the population, this building will always be the Murder House – the site of a gruesome multiple homicide – to Patrick it will always be the childhood home he grew up in and the location where he dreamed of raising his own children. This brief summary does not even come close to describing the terror reading Vanessa Savage’s The Woman in the Dark will send down the reader’s spine. This is a book of pure psychological suspense by way of a haunted house story. Sarah Walker is emotionally-drained after the death of her mother, so when her husband suggests taking their two children and moving to his ancestral home, she certainly understands the appeal. But she has to admit that it is hard to get beyond the house’s more recent infamy. Despite her reservations, the Walker’s relocate and it is only then that strange things begin to occur. Their oldest son, Joe, withdraws; while their daughter, Mia, rebels by acting out. No one is sleeping. Strange items are left on the front porch, repeatedly. And for some reason, the stories that Patrick has always told about the house are not adding up. As Sarah meets more of the neighbors and townsfolk, it becomes clear that someone is lying. And all of this is before Sarah hears that the Murder House killer has been released from jail. Vanessa Savage imbues this Victorian home with such creepiness that readers will find themselves unable to stop stressing for this family and their safety. Even once it becomes clear that the house is not the only thing threatening the Walkers, the lure of this home’s mythology will crawl under the skin and take root. Few writers can elicit this amount of dread while maintaining a high-level of menacing feeling throughout an entire novel. The Woman is the Dark is cleverly constructed so that readers are so focused on the dangers at hand, they miss the more obvious risks at play in the plot. 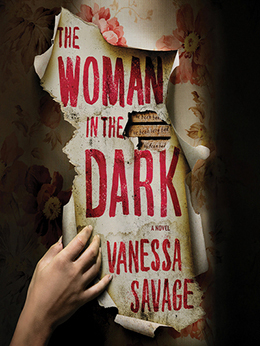 Despite falling into the trend of including “woman” or “girl” in a book’s title, The Woman in the Dark is indeed the perfect title for this novel. The sanctity of ones home is something everyone understands and to watch that be violated in the ways this book describes is chilling and even difficult to read at time. 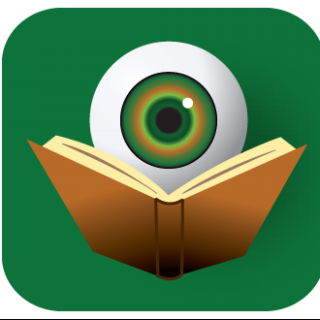 Readers who are easily disturbed by unsettling feelings should avoid this one, but for all others this tightly-wound, psychologically-astute, horror-filled plot is certain to satisfy. By telling readers on the first page that two more bodies have been discovered in the Murder House (before flashing back to the beginning of the Walker’s story), this author captures readers attention and reinforces the fact that no one in this story is safe. Whatever Vanessa Savage does next, crime fiction readers are going to flock to it.